SEO, Search Engine Optimization, is necessary for helping potential customers find you on the Internet where there are millions upon millions of pages and sites are created daily. While SEO is not a new idea, it has changed throughout the years. Google, Bing, Yahoo and others search engines influence how customer's searches reach your website based on how you've created and maintained your site structure and content. In other words, how well you've optimized your site for search engines and visitors. Probably the most popular search engine is Google with many SEO discussions revolving around page 1 search results. A few years ago, much of how sites made it to page 1 was through link building, creating paths back to your site and content. Companies formed around helping to build links and soon clever individuals figured ways of what I call gaming the system to where the link building seemed to become less about meaningful, related content but more about the number of links regardless if the linkage made sense. This worked for awhile. If you follow Google, you know that the search algorithms have continued to evolve to where things that may have worked a few years ago may not work today. Based on what I've read and my own observations, the evolution has been to aid users in finding the "right" information quickly. How does this relate to the black, white and gray SEO hats? When you hear about "Black Hat SEO", typically that relates to the practice of quantity-based link building. "White Hat SEO" is more common today. It is the practice of creating quality content and helpful, related links focused on improved user experience. This goes along with the changes to the Google ranking algorithm changes toward the use of quality and helpful links factors. So what's "Grey Hat SEO"? Until I read 50 Shades of SEO: Going Black Hat, White Hat or a Shade of Gray? by guest author Gareth Simpson in Website Magazine, I didn't know. 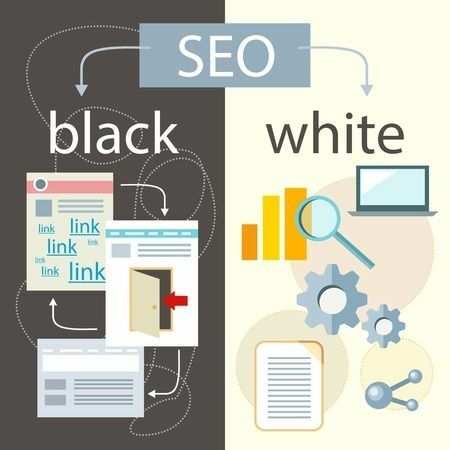 What I get from this article is that gray hat SEO takes white hat SEO practices of creating useful, shareable content and leverages some black hat SEO techniques to disseminate. The article does a good job of explaining advantages and disadvantages of black and white hat approaches but more importantly, it sparks lively discussion. That to me, is a great example of white hat SEO, useful, shareable content that encourages engagement. When reading 50 Shades of SEO, be sure to check out the comments and afterwards, please let me know if you found it helpful.